For many people thinking about moving into a care home the main fear is that they will lose their home. It’s important to realise that although care home fees can have an impact on homeowners, you won’t necessarily lose your home. If you are moving into a care home and would like financial help to pay for the fees, you will undergo a financial assessment. This financial assessment takes into account your assets, including your home. If you have savings or assets worth more than £20,500 then you will be liable to pay your full care home fees. If you are assessed as eligible to pay your full care home fees because of the value of your home, one way to keep your home could be through deferred payments. Under a deferred payment scheme you only pay the amount towards your care home fees that you would have paid if your house wasn’t counted as capital. The Local Authority will keep a record of the amount that you still owe and they will only collect it when you die or when your home is sold. If you leave your home to someone, they will be liable to pay your outstanding care home fees. 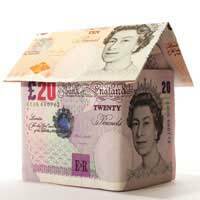 Be aware that Local Authorities are not obligated to offer deferred payment schemes and not all do. It is also at their discretion who they offer them to. Some people use the value of their home to pay for care home fees without actually selling it, or selling all of it. Through an equity release scheme you can borrow against the equity locked in your home, and then repay it when the house is sold. Alternatively you can sell all or part of your home and then the company you sold it to will rent it back to you.Equity release schemes need to be considered carefully before going ahead. Our article Equity Release to Pay for Care provides information on how equity release works and some of the issues surrounding it. If you want to keep your home, but also need the money from it to pay for care home fees, you could consider renting it out. This way you will receive regular rent to pay for your care home fees, but you will also still be able to move back into your home later, keep the profits when you sell it, or leave it to someone else as an inheritance. If you need to pay the full cost of your care home fees you may decide to sell off your home. Remember that all the profits from your home might not be used up through care home fees and there may still be some left over to leave to others as an inheritance. If you are a homeowner and thinking about moving into a care home, remember that there are ways to keep your home should you be liable for the care home fees. Seek advice from a financial advisor and do your research as early as possible to ensure you can make the best decision for you.